South Korea on Saturday welcomed a planned second summit between US President Donald Trump and North Korean leader Kim Jong-un, saying that it expects the summit to serve as a turning point toward permanent peace on the Korean Peninsula. Kim Eui-kyeom, a spokesman at South Korea's presidential office, made the remarks after the White House announced that Trump and Kim will hold the meeting near the end of February at a location to be announced at a later date. "We expect this North Korea-US summit to be a turning point in firmly establishing a permanent peace on the Korean Peninsula," Kim said. South Korea will spare no efforts for a successful outcome of the planned second summit between Trump and Kim, by closely cooperating with the US and holding more talks with North Korea, Kim said. 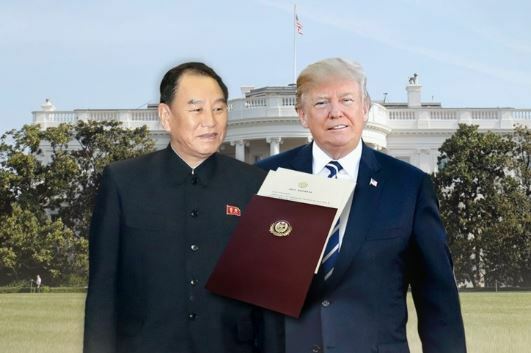 The White House's announcement came after Trump held a 90-minute meeting with Kim Yong-chol, a close aide to the North Korean leader and vice chairman of the North's ruling Workers' Party Central Committee, in the Oval Office. Vietnam is widely reported to be a top candidate site. Both the US and North Korea have embassies there.